Leigh Piccolo joined Emerald Creek in May of 2018 as a Senior Controller. Her responsibilities include fund administration, loan servicing, tax reporting, and financial reporting. Before joining Emerald Creek, Ms. Piccolo spent 9 years as a Controller for Pershing Square Capital Management, a hedge fund with over $8 billion under management. At Pershing Square, Ms. Piccolo’s responsibilities included financial reporting, fund administration, tax reporting, and operational activities for both private and publicly traded hedge funds. 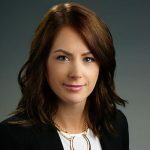 She began her career in financial services in 2007 as an accountant at GSC Group, a private equity firm, where her responsibilities included financial reporting and banking operations for their mezzanine loan portfolio. Ms. Piccolo earned a B.S. in Business with a specialization in Finance from Georgetown University.